Just for good measure, here's another post to make up for the extended absence. 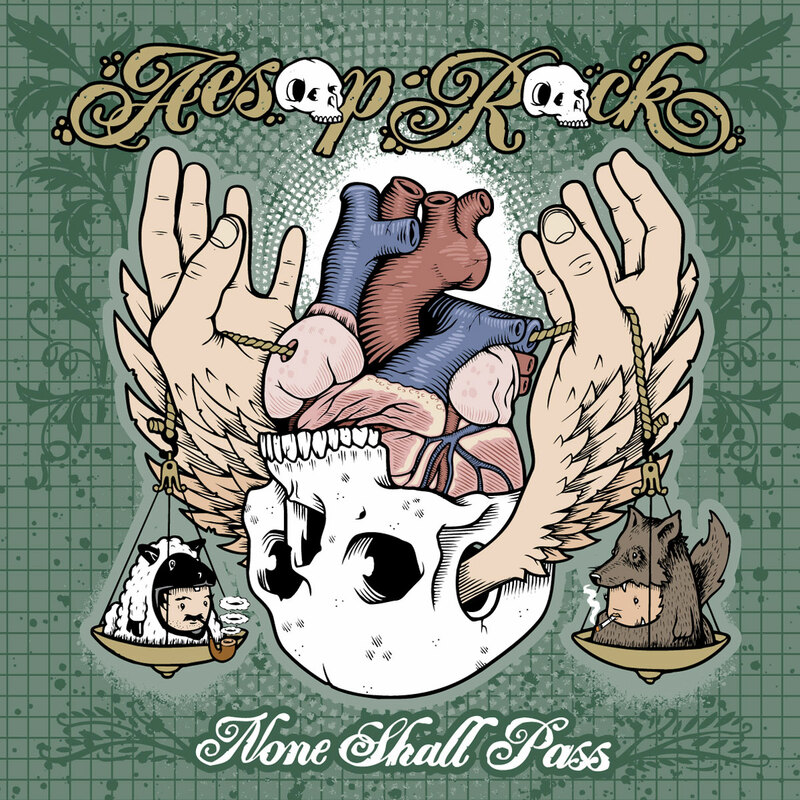 If you don't know Aesop Rock yet, you have obviously been hiding under a rock. Coming out of New York, Aesop's unique cadence and surreal lyrics have been ruling over the underground hip hop scene since Def Jux picked him up for 2001's Labor Days (which I'll post soon). He's honed his craft even more so since then, and with 2007's None Shall Pass, it is blindingly evident. His lyrics epic and abstract as ever, his production still completely unique (many of the bass lines are total stoner rock fuzz bass), and appearances from John Darnielle from The Mountain Goats, Rob Sonic, and El-P make this record a milestone for real hip hop heads. Here's a sample for the LAZY, and uninformed. It's the first track off the record so it's got a nice long intro, but just make it 55 seconds in and you'll see why Aesop Rock is the illest.